The most complete metric selection in the world. More added every month. If you don't see it here look in the Brake Adapters section. AT9919AFJERL -3 16mm X 1.50 Metric Thread Male To A.N. Adapter Male. Black Anodized. AT9919BFBERL -4 10mm X 1.0 Metric Thread Male To A.N. Adapter Male. Black Anodized. AT9919BFCERL -4 10mm X 1.25 Metric Thread Male To A.N. Adapter Male. Black Anodized. AT9919BFDERL -4 10mm X 1.50 Metric Thread Male To A.N. Adapter Male. Black Anodized. AT9919BFEERL -4 12mm X 1.0 Metric Thread Male To A.N. Adapter Male. Black Anodized. AT9919BFFERL -4 12mm X 1.25 Metric Thread Male To A.N. Adapter Male. Black Anodized. AT9919BFGERL -4 12mm X 1.50 Metric Thread Male To A.N. Adapter Male. Black Anodized. AT9919BFHERL -4 14mm X 1.50 Metric Thread Male To A.N. Adapter Male. Black Anodized. AT9919BFJERL -4 16mm X 1.50 Metric Thread Male To A.N. Adapter Male. Black Anodized. AT9919DFCERL -6 10mm X 1.25 Metric Thread Male To A.N. Adapter Male. Black Anodized. AT9919DFDERL -6 10mm X 1.50 Metric Thread Male To A.N. Adapter Male. Black Anodized. AT9919DFGERL -6 12mm X 1.50 Metric Thread Male To A.N. Adapter Male. Black Anodized. AT9919DFHERL -6 14mm X 1.50 Metric Thread Male To A.N. Adapter Male. Black Anodized. AT9919DFJERL -6 16mm X 1.50 Metric Thread Male To A.N. Adapter Male. Black Anodized. AT9919DFKERL -6 18mm X 1.50 Metric Thread Male To A.N. Adapter Male. Black Anodized. AT9919EFGERL -8 12mm X 1.50 Metric Thread Male To A.N. Adapter Male. Black Anodized. AT9919EFHERL -8 14mm X 1.50 Metric Thread Male To A.N. Adapter Male. Black Anodized. AT9919EFJERL -8 16mm X 1.50 Metric Thread Male To A.N. Adapter Male. Black Anodized. AT9919EFKERL -8 18mm X 1.50 Metric Thread Male To A.N. Adapter Male. Black Anodized. AT9919FFHERL -10 14mm X 1.50 Metric Thread Male To A.N. Adapter Male. Black Anodized. AT9919FFJERL -10 16mm X 1.50 Metric Thread Male To A.N. Adapter Male. Black Anodized. AT9919FFKERL -10 18mm X 1.50 Metric Thread Male To A.N. Adapter Male. Black Anodized. 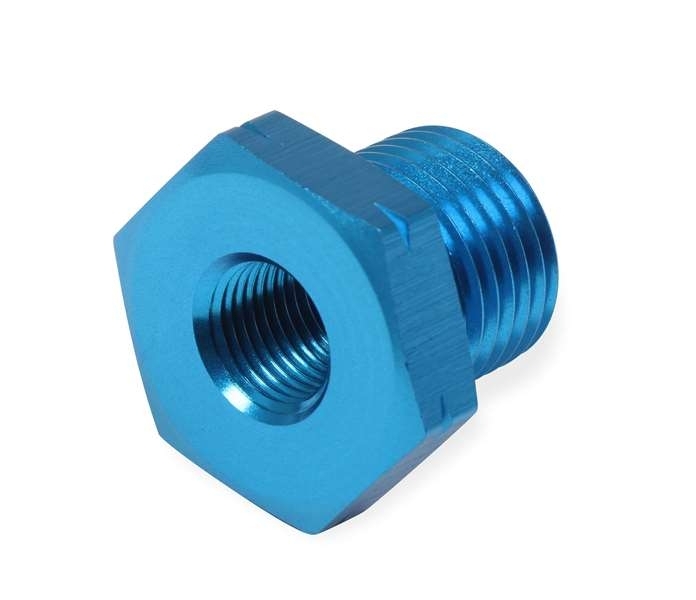 AT9919FFLERL -10 20mm X 1.50 Metric Thread Male To A.N. Adapter Male. Black Anodized. AT9919GFJERL -12 16mm X 1.50 Metric Thread Male To A.N. Adapter Male. Black Anodized. AT9919GFKERL -12 18mm X 1.50 Metric Thread Male To A.N. Adapter Male. Black Anodized. AT9919GFLERL -12 20mm X 1.50 Metric Thread Male To A.N. Adapter Male. Black Anodized. AT9919GFRERL -12 30mm X 1.50 Metric Thread Male To A.N. Adapter Male. Black Anodized. AT9919HFKERL -16 18mm X 1.50 Metric Thread Male To A.N. Adapter Male. Black Anodized. AT9919HFLERL -16 20mm X 1.50 Metric Thread Male To A.N. Adapter Male. Black Anodized. AT9919HFRERL -16 30mm X 1.50 Metric Thread Male To A.N. Adapter Male. Black Anodized.